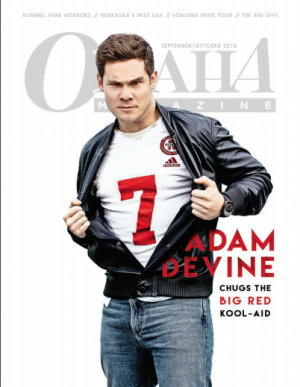 Omaha Magazine, is Omaha’s city magazine for the last 35 years. A leader in combing award-wining editorial, design and photography to deliver to you entertaining and informative articles on dining, arts, events, travel, people, homes and more. Other publications:	Omaha Magazine Hotel, B2B, Family Guide, Omaha Home, Old Market Directory, FACES of Omaha, Best of Omaha Results.